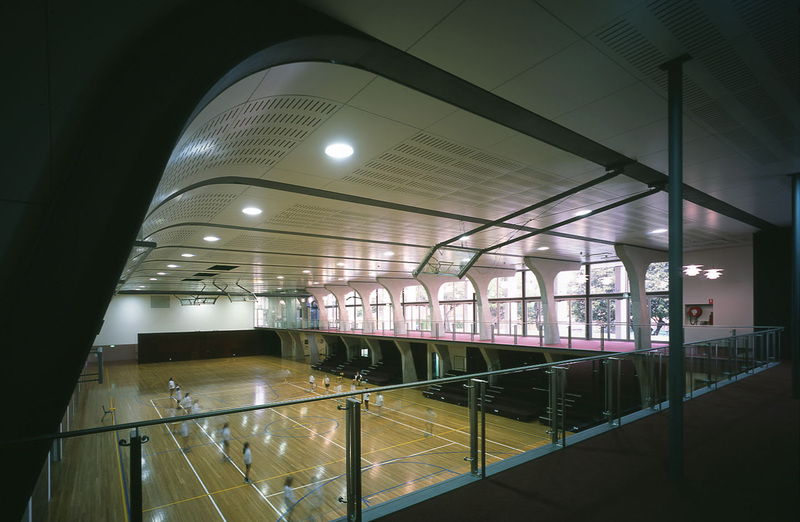 The Jo Karaolis Sports Centre was re-located at the centre of the St Catherine’s School campus at Waverley following a review of the existing masterplan. 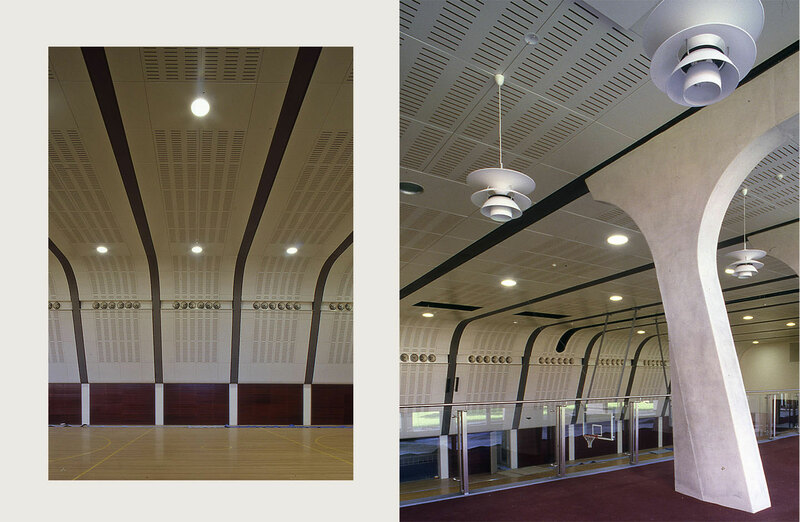 This location permitted the improvement of access to various levels of the campus, enhanced sporting facilities and landscaped open space for the school campus. The new building is partially underground to enable an extension of usable open space to the upper level of the school. 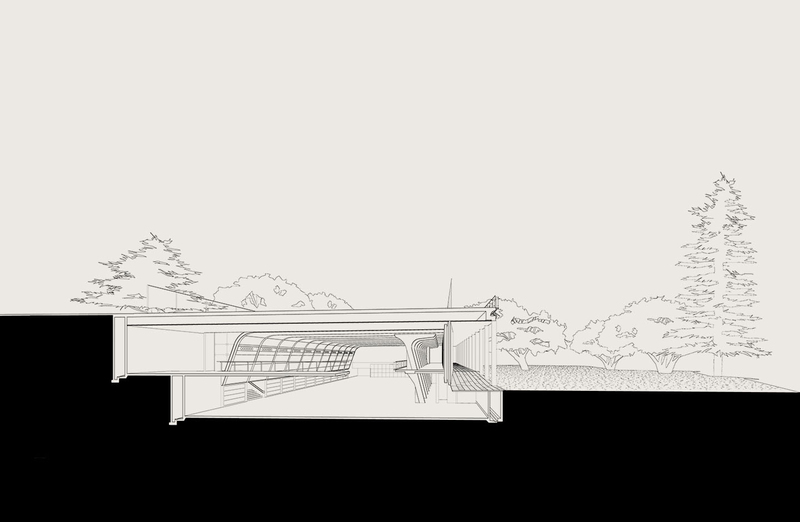 The roof is a trafficable area that provides sports facilities and viewing terraces. These areas are linked to the lower level of the campus by a series of external stairways and a lift. 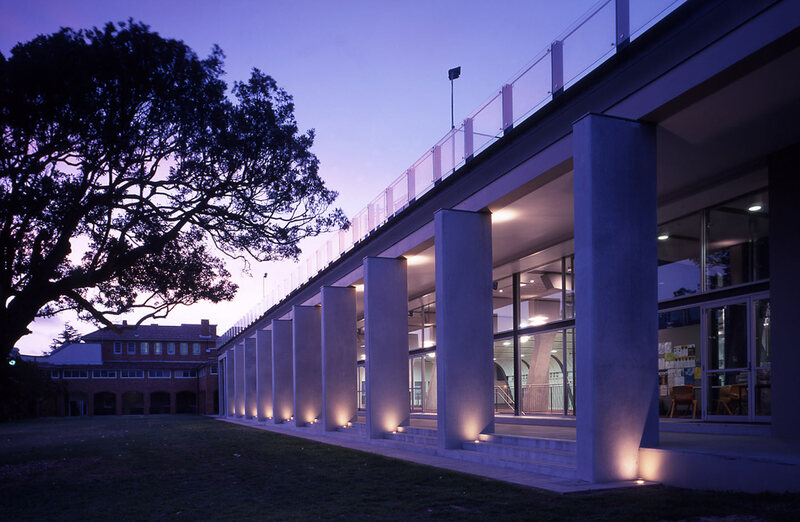 Below the roof, the building opens out onto the lower level through a 60 metre long loggia, which links up with the arcade of the existing campus buildings to form an open-ended cloister around a new campus green. The interior is a spectacular space mainly formed from the design of structural and acoustic elements. 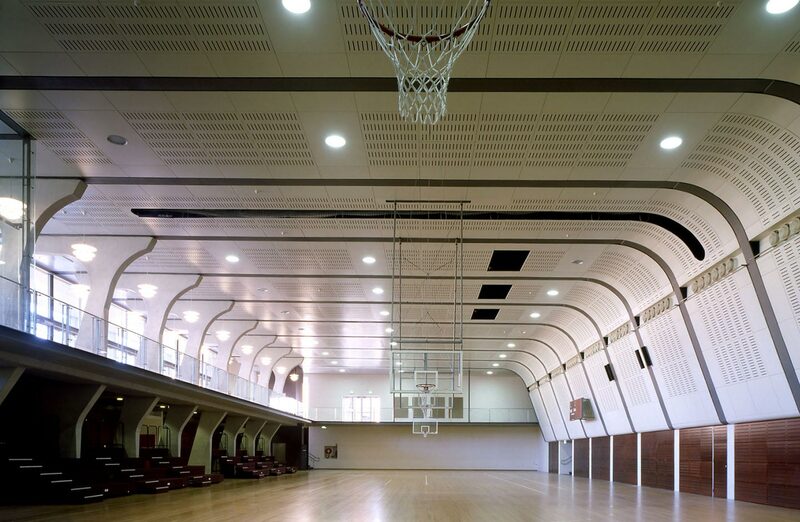 The gymnasium also functions as a venue for major school events, providing excellent adaptive re-use options to suit a wide range of functions.